Technology and innovation which go together with a tradition lasting more than 50 years: this is the message launched by Ronchi Mario Spa at Interpack exhibition, held from May 4th to 10th 2017 in Dusseldorf. The Italian Company, a recognized leader in the packaging machinery industry, emphasized its brand through an innovative booth: the elegant and uniform style aimed at representing a line of conduct maintained over the years, with a growing attention to the needs of customers who are valued partners. Reliability, specialization, flexibility and dynamism are the keywords which, combined with partnership, foster the success of the company. Once more, Ronchi presented at the exhibition an innovative and unique solution for the packaging machinery market. In addition to the Exacta R 12/6 filling and capping monoblock, equipped with flow meters for filling and an electronic cam for capping, Ronchi introduced to the market the Uni-One, a brand new machine for the health care, home care, and beauty care sectors, designed in cooperation with SMI Group and P.E. Labelers, and combining a blower, a labeler, a filler, and a capper. 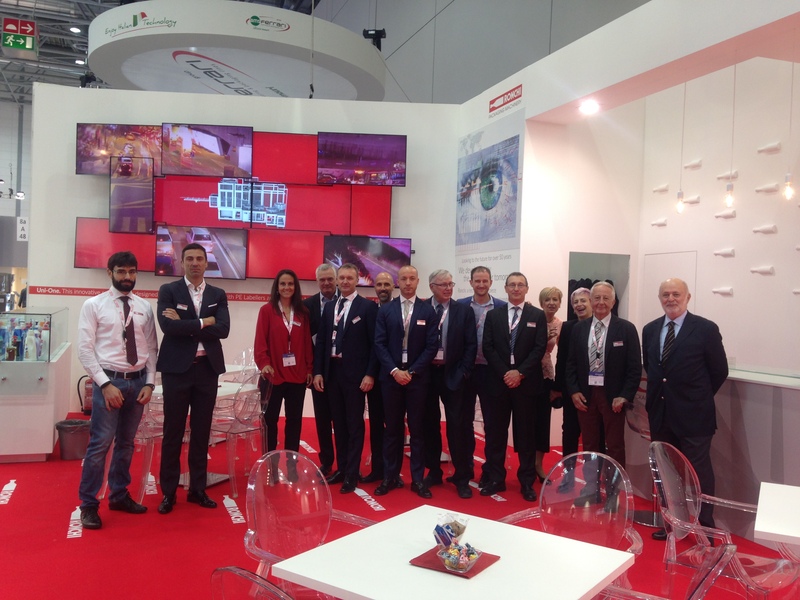 Comments following the most important packaging trade fair worldwide are totally positive: record of participation not only for the show in general but also for Ronchi, with a great number of visitors coming not only from Germany, but from all over the world. “This year we recorded a very high flow of visitors, in terms of quantity but most important, of quality – states Mr. Maurizio Donini, the Executive Sales Director of Ronchi Mario Spa – All the participants we met were highly qualified and interested both at the machine shown and at all the innovations we are introducing into the market. The exhibition is for us an excellent business opportunity and a good chance for meeting established and new markets. We were inspired by a wealth of information and encounters and we’ll be surely able to transform this into practical solutions”.